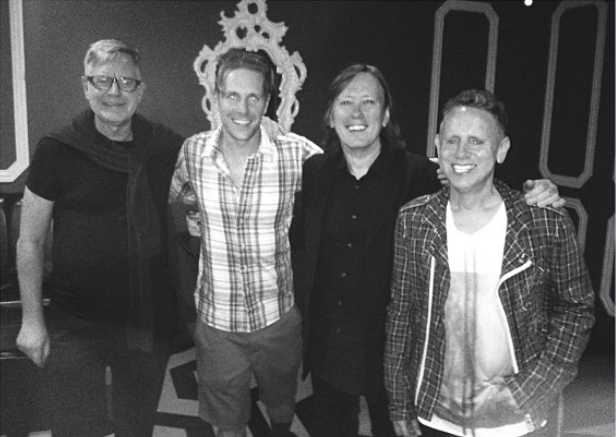 Andrew Fletcher, ?, Roger O'Donnell, Martin L. Gore. 3 of my favorite people all together in one room! From Depeche Mode World Tour 2013-2014 on Facebook.